How different is D&D since it first came out? I have never played Dungeons and Dragons, but I have participated in several other RPGs, and my Dad recently posed interest in playing since he was an avid D&D player when he was younger. I myself have only played IKRPG mainly, so I'm not too familiar with the universe, however I would like to possibly set up a game for my Dad and a couple of friends. How drastically (if at all) has the game changed over the years? I'm not looking for what is different, I'm asking to what degree has it changed. Is it recognisable to players who haven't seen the changes for 30 years? Or is it still relatively similar? This overview of differences between editions makes no sense to me as (having stated above) I have no experience with the game. D&D hasn't really changed that much in general concept over the years, only gotten older and fatter. More and more content — characters have more "stuff" (skills, feats) and more choices (classes, races) over time. It kinda depends whether he was really playing the "original" OD&D or if he was more of a Advanced Dungeons & Dragons guy. OD&D is the bare rudiments of the hobby - it's got a lot of the same general feel and words (wizard casts fireball!) but is pretty different from everything else rule-wise. 1e, 2e, and 3e/3.5e are very recognizable derivatives of each other (and Pathfinder is a very recognizable derivative of 3e). 4e is more different in terms of concept and tone and is probably the farthest afield. The new 5e takes a step back towards earlier versions so it should be suitably similar too. However, there is a lively trade in the "Old School Revolution" — many retroclones of older editions are current published products with adventure support. See Overview of D&D retro-clones — you could easily get something that's like whatever version your dad played and use that. Something that would hit anyone who played AD&D 1st edition and was left in the dark for 30 years is the effort put into empowering the players. Depending when you land (let's take the latest 2 editions), the force of impact will vary. Originally you'd roll for your stats, put the numbers in order and hope you'd fill the requirements for your class. You wanted to play a fighter. Sure you can. But because you roll your stats in order you could end up with a lot of intelligence and no strength. Oh you'll make a Wizard instead? Roll for your hit points and if you get 1, well too bad buddy. You can be killed by a kid throwing a rock at you. The idea of balance in the early editions was almost absent. A wizard would be almost useless at first level but if you manage to survive the crazy adventures you'll be the most powerful character at the table. 30 years later, dying is still a possibility for the Wizard but depending on the edition you play, it'll be much harder than before. Wizards never run out of options in combat. They may run out of their really good spell but they still have access to offensive at-will spells and they don't have to fight with a stick. Originally the Dungeon Master's Guide entitled you to supreme deity of your own world. Today the language is toned down a bit and the Dungeon Master's role is mostly the same but they don't push you on the power-trip as much as they used to. The iconic deathtrap/killer dungeons (Temple of elemental evil, Tomb of Horror etc.) come from that time where torturing players for fun was part of the hobby. I'm might be exaggerating a bit, but so was Gary Gygax. When mxyzplk says the game got fatter, it's not a lie. Here's a list (from the top of my head) of the races available since the beginning in the core books: Dwarf, Elf, Halfling, Human. A little bit later the Gnome, Half-Orc and Half-elf showed up but the list was minimal. 30 years later, the list is big. 30 years later you can play a Dragonborn (basically a humanoid dragon) and an Eladrin (a type of elf who can teleport). This should definitely be a surprise for any old school player who suddenly looks at the new material. Want to play a walking robot made out of metal and living material brought to life by magic? That's a Warforged. The game options exploded. 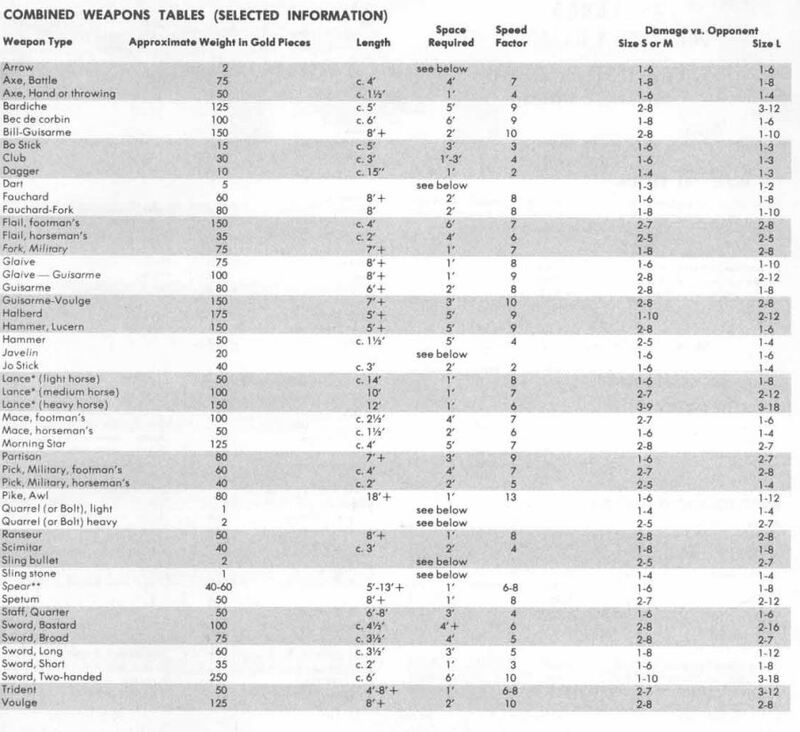 If you include Pathfinder, you have a class entirely focused on firearms (Gunslinger). Point is, compare the number of options available in the Player's Handbook of 5th edition with AD&D 1st or 2nd edition. Dungeons, Dragons, saving throws, crazy adventures with your friends. That part of the game didn't change much over the years. Some editions might smell more like D&D than others, but what's great is that most of them are entirely available today. It's easier for me to grab the 3 core books of AD&D 2nd edition today than it is to get my hands on many recent new games at my game store. So for me, when I hear "the game didn't change much", it's a little bit misleading. From it's inception to today, the game changed a lot. But you'd recognize it at the 30 years later reunion party. It'll have a few kids (tons of retro clones, board games and derived products) but D&D is still D&D. Getting questions answered. In the past decade or two, the internet, discussion forums, and various official sites devoted to the hobby have made the task of figuring out what works far easier. The Strategic Review and Dragon Magazine were helpful in their day, but in the print era it could take some time to get an answer or to even get your hands on a copy of the magazine. (I was a subscriber to Dragon from about issue 5). Today a helpful answer, suggestion or idea can be gotten far more quickly, as can an official ruling from the game's authorities/publisher. This will be helpful to you if you are a beginning DM. It can also be helpful to your Dad if he wants to figure out how a given change happened to the game. All of your stats are useful, and non-combat actions are addressed far better. The first major step was 1st edition A D & D, but as noted in other answers the game has gotten "fatter" ... but it has also gotten more organized and coherent. A lot of years of effort in game growth and game balance has had a positive result. (The chart on the linear fighter/quadratic wizards is a good illustration of how balance issues can arise). Your Dad, if you begin in 5th edition, will probably like how the K.I.S.S. principle has been applied in the most recent edition. I sure like it. The feel to this new edition is very good. (3.0/3.5? Not so much, thanks all the same). You don't have to re-roll characters as often. It's much easier to recover from being killed or reduced to 0 hit points. I like how 5th edition handles this. That daring thief being lost due to one bad roll in combat, or a missed saving through, isn't as common even though you can still die that horrible death at the hands of the monsters and evil-doers. (My handle on this site is the name of a cleric, Life Domain, who died at the hands of ogres and hobgoblins. He ended up as an ogre's meal, digested. The rest of the party escaped that doom, barely). In white box days, it was so easy to die as a magic user that part of playing that class was the effort of surviving for a few levels. (Good team play helped a lot in that regard ... so that hasn't changed either). In some ways, the game hasn't changed a bit: you are still at risk of being defeated, and need to work as a team to complete an adventure. The other answers covered other points well. The changes have been beneficial, and the game is still very much Dungeons and Dragons. I think your Dad will recognize it. May you always make your saving throw. PS: The whole subject of Alignment isn't what it was originally, nor what it became in the first 2 editions of AD & D. Since I haven't played 5e for very long, I can't say more. My DM is a huge fan of how alignment works now. I played Basic Dungeons and Dragons back in 1978 after a friend brought it back from the States where he had been on holiday with his family. We also had the Greyhawk, Eldritch Wizardry and Chainmail books. Then we moved onto AD&D, then 3e, then 3.5e then 4e and now 5e. Apart from 4th edition, I reckon someone who has played one version would recognise the core concepts of any other other version, how a character is built etc. with perhaps the exception of Feats, either them being a new concept or "where are they?". 4th Edition (which I don't like much) is quite a departure from the core "feel" and concept of D&D, though still recognisable in many parts I guess, as you have said. It seems to be an attempt to make a hybrid between 3.5e and Magic the Gathering card game. I wouldn't recommend running a 4th edition game for someone who has only played AD&D, for instance, if you want to run it for old timers like me. What I find really striking is how even though the 3rd edition (and now Pathfinder which continued where 3.5 left off) changed a lot of the rules and gameplay, adding a lot of new options (Feats being one of the most significant), it remained very close, in style and feel at least, to the core mechanics of what went before. 5th edition is excellent, in my opinion, and it seems to have succeeded in taking all the good bits from it's ancestors and remained "faithful" to the game. It's really familiar and "comfortable" to play. It feels like the early days of playing AD&D or even Basic D&D, but with lot and lots of new goodies, lots more balanced and just better across the board. It's great to see D&D circle back to it's roots, but bring all the great stuff with it. Not the answer you're looking for? Browse other questions tagged dungeons-and-dragons history-of-gaming or ask your own question. What were the driving factors in the falling out between Dave Arneson and Gary Gygax? Was Chaosium's founder first to buy a copy of D&D? What was the first D&D Module? When was Armour Proficiency first included and why? How has the focus on roleplaying versus combat in D&D changed in the years since its inception?